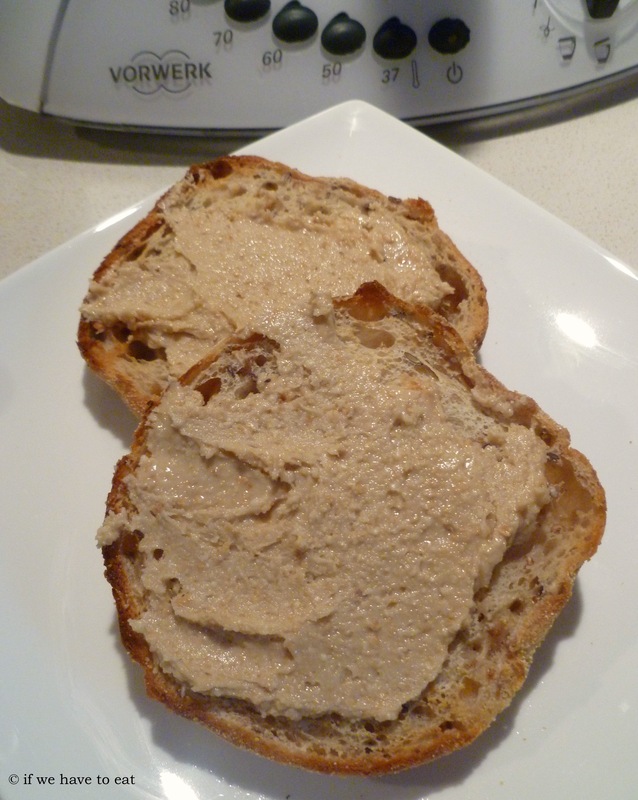 I had a whole lot of cashews in my pantry so I thought I’d try a nut butter in the Thermomix. There is a recipe for peanut butter in the Everyday Cookbook and I searched for a few websites – but they all added oil to the nuts and some added a sweetener, which I didn’t want to do. 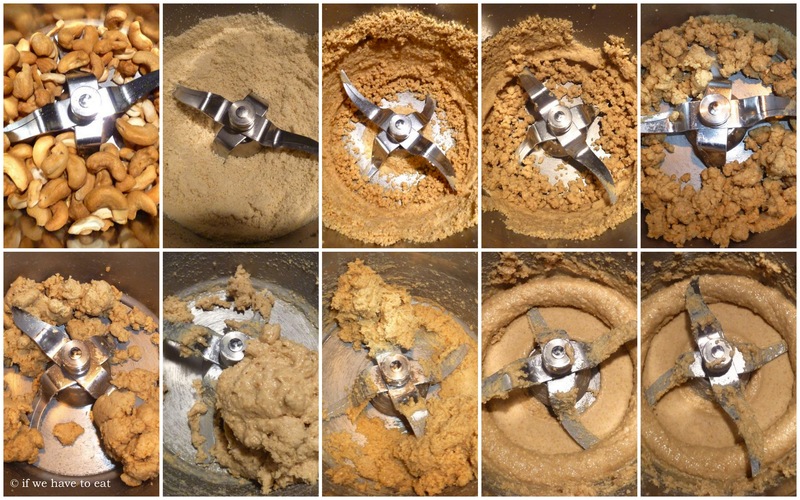 So, I went and found some traditional recipes and discovered that with a little bit of time, you can actually make a nut butter with just nuts. This is version 1 as I wanted to watch the change in the nuts over time. In the future, I’d like to play with the timings and speeds to reduce the overall time needed to make this. I made this once with roasted cashews (bought that way) and once with raw cashews. Either way works – it just depends on your personal taste. This entry was posted on June 2, 2013 by ifwehavetoeat in Breakfast, Snacks and tagged Breakfast, Easy, Fast, Make Ahead, Recipe, Snacks, Thermomix.